Hi everyone! time for another report! Well another got something done week. it feels good to accomplish stuff! I finished Februarys wool BOM. I don't count yardage for this finish. it's all wool. I belong to a group on yahoo, 30s fabric. we do swaps from time to time. we are having 2 right now. The first is a birthday club. there are 12 of us. we each have a month. We have to make 1 12" block a month and send it to the birthday girl. This month, the lucky girl gets two. I cut out the smaller block, not paying attention to what the finished size would be. It sewed up to 8 1/2" unfinished. It needed to be a 12" square. sigh..... So I had to remake it. So here is both. 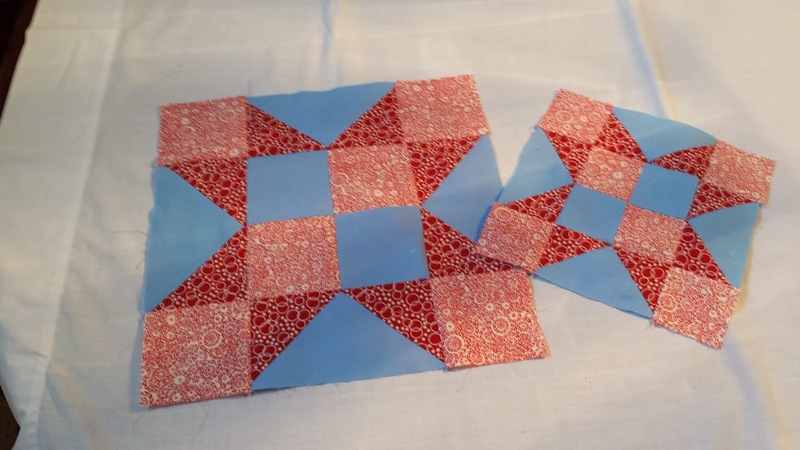 The other swap is tulip blocks. 1 set consists of 4 blocks. I signed up for 3 sets. these were super easy to sew up. I love them. 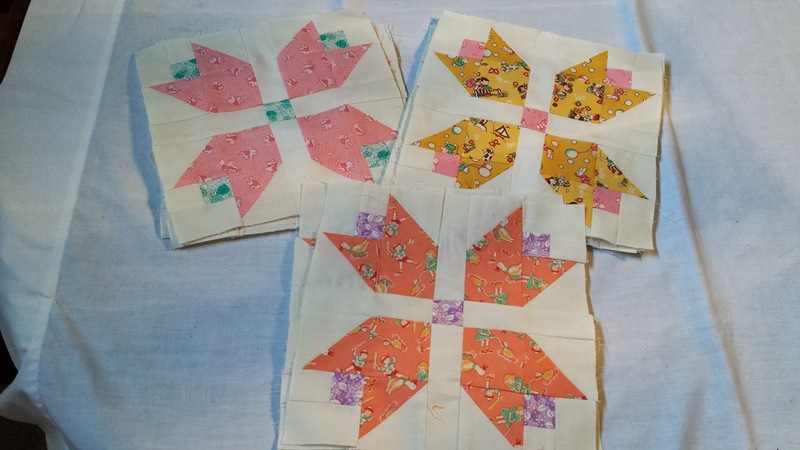 I have pieces to make 4 more blocks. I might make a few more to make a twin size. just have to decide how to set them. 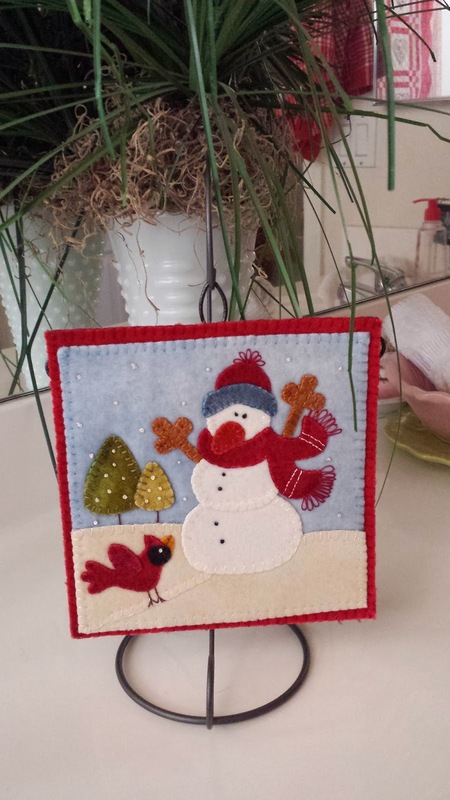 Hello Lorene - I am always amazed at the detail you record for your Stash Report! My stats would not be quite so interesting at the moment! 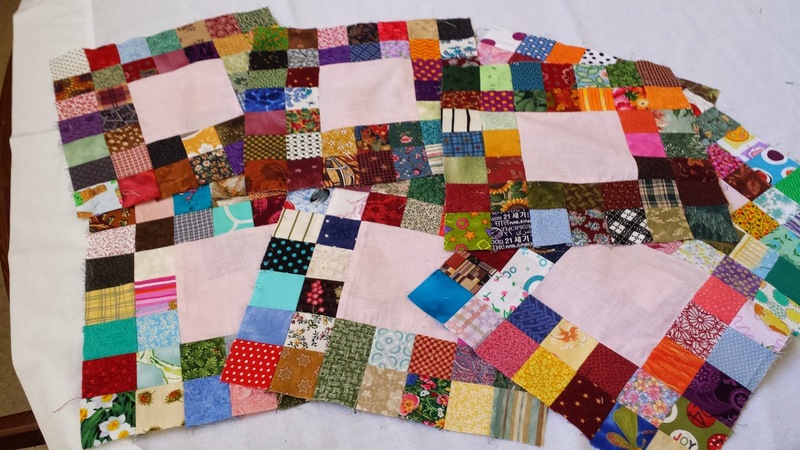 I love the look of the pink blocks - there's a lot of sewing in them, that's for sure... happy sewing! Oh boy! A new project!